The Jewish Tribune Magazine has tens of thousands of reader all over the world. The Tribune provides its readers with timely news of concern to the grassroots Jewish community in Canada, Israel and around the globe. 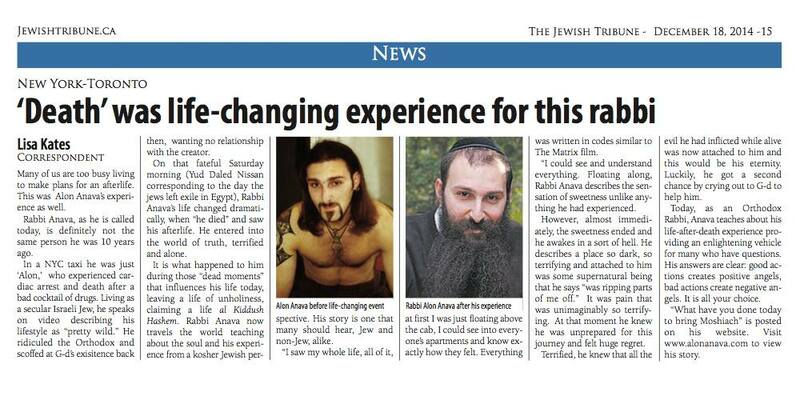 Rabbi Anava was feature on the magazine in 2014.